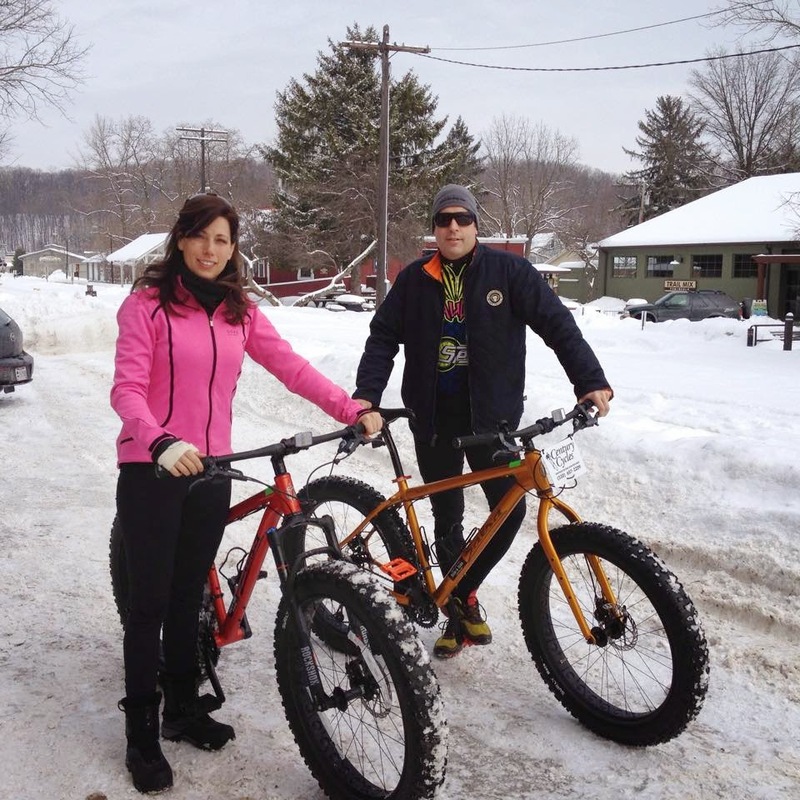 Century Cycles Blog: A Very Fat Tire Weekend! 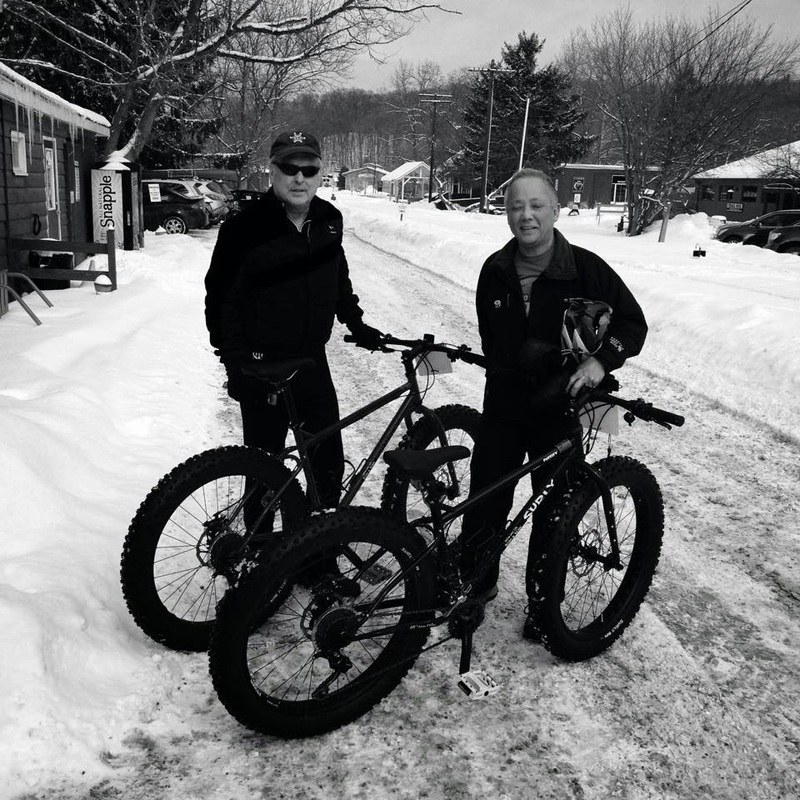 With (relatively) mild temperatures and a few inches of fresh snow, this past weekend was a busy one for our snow bike rentals at the Century Cycles store in Peninsula! 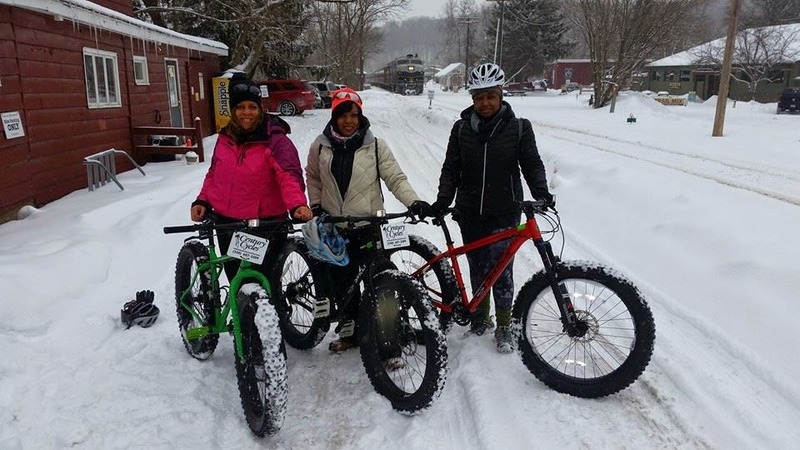 We had the pleasure of visits from several groups, including representatives from the Cleveland Chapter of Black Girls Do Bike, a group whose interest is in growing and supporting a community of women of color who share a passion for cycling. Thanks to everyone for stopping by! 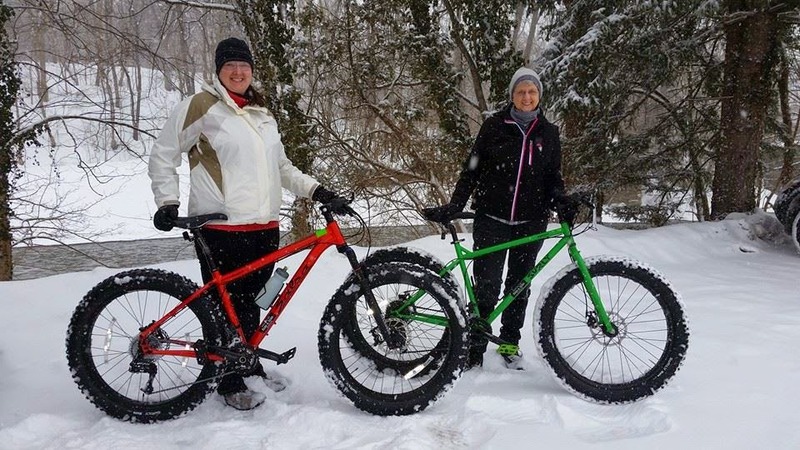 We DO accept reservations for our fat bike rentals, so be sure to call us first at 330-657-2209 to make sure we have bikes available before you head out. We just added an additional bike to the fleet to meet the growing demand, a Salsa Cycles 2015 Mukluk 2, featuring the RockShox Bluto fat-bike-specific front suspension fork. 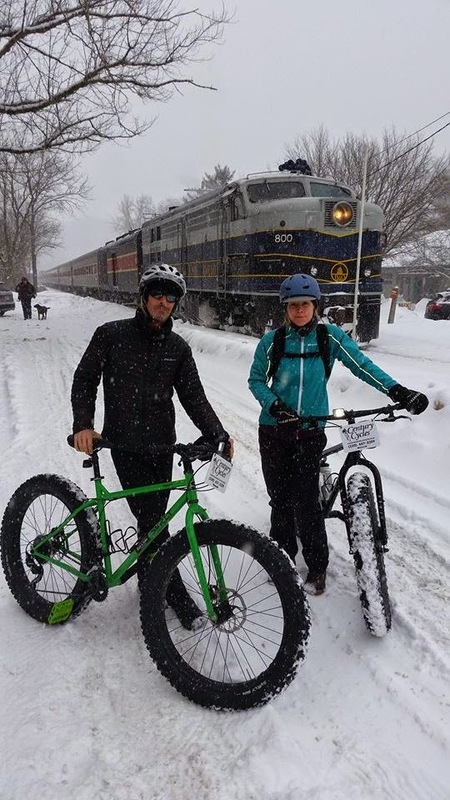 Go to www.centurycycles.com/for/SnowBikeRental for all the details, including bike specs, rental procedures, and our tips for dressing for riding in the cold.